Brain and pregnancy. 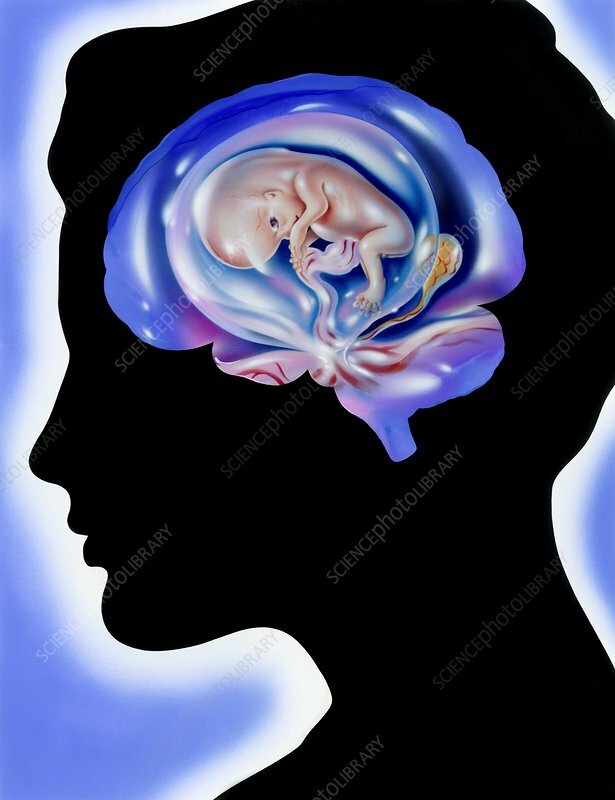 Conceptual artwork of a silhouetted human head with a developing embryo overlaid on the brain. This image can represent concepts such as thinking of pregnancy, and how the brain may influence the process of getting pregnant. It can also represent the effect of pregnancy on the brain.